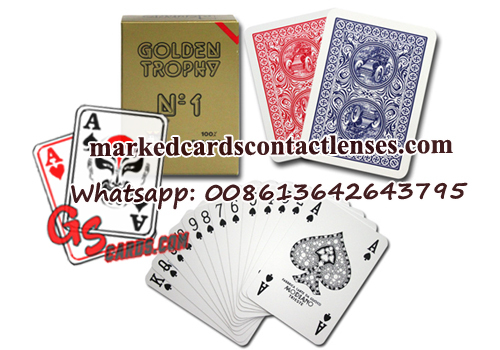 Modiano manufacture some of the finest quality plastic playing cards in the world. Thicker and less slippery than standard plastic playing cards. Modiano Golden Trophy cards are 100% plastic cards in two editions of single decks and double decks.